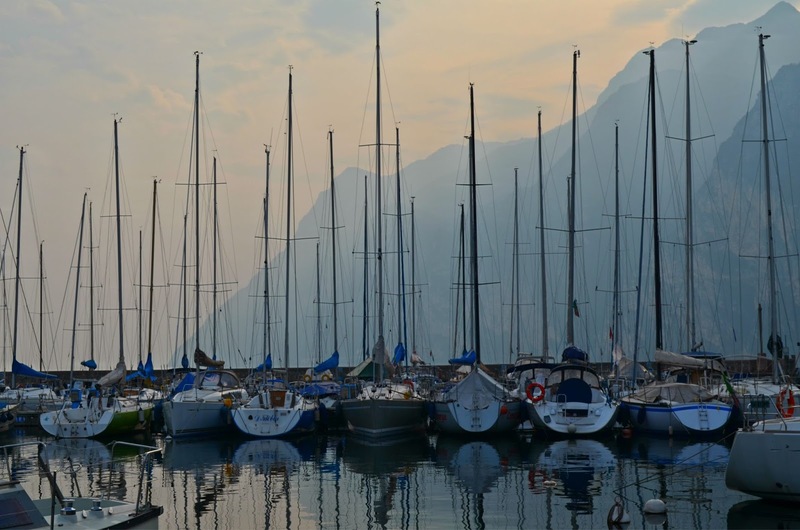 Garda Lake is definitely one of the most popular lakes of Italy. 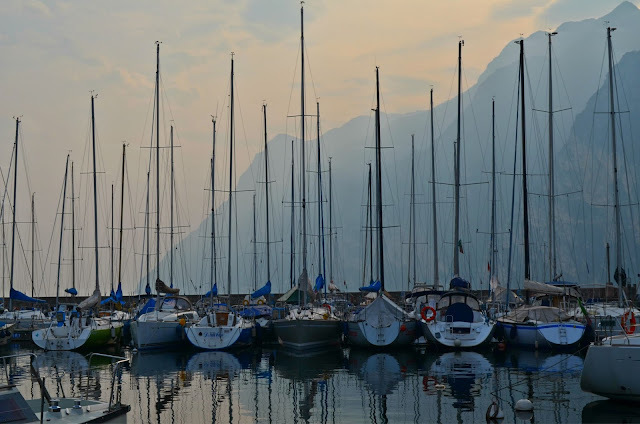 Surrounded by three distinct regions – Lombardy, Trentino Alto-Adige and Veneto, Garda Lake’s cultural diversity attracts a cosmopolitan crowd. 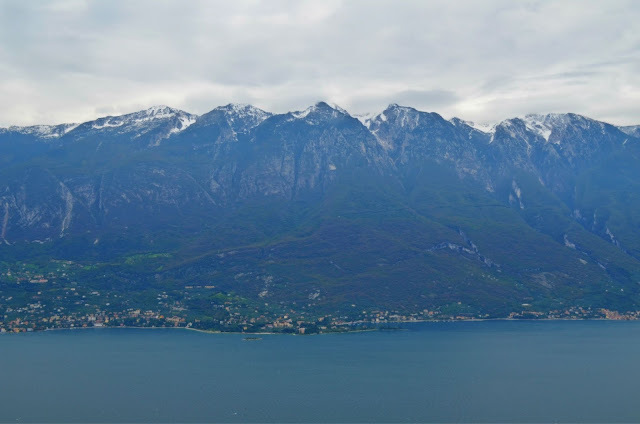 It covers an area of 370 km², a length of 52 km and a depth of up to 350 m. I enjoyed Garda’s Alpine climate because it’s beautifully cupped between high mountains (some of them reach altitudes of more than 2,000 m) and that along with the majestic landscapes are the reason why this part of lake Garda is so popular with hikers, climbers and mountain bikers alike. 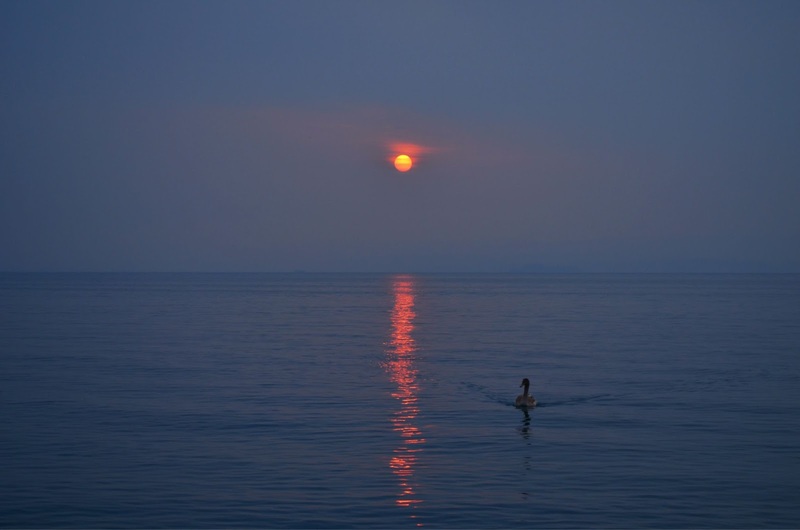 Moreover, it is also the perfect venue for windsurfers and sailors. 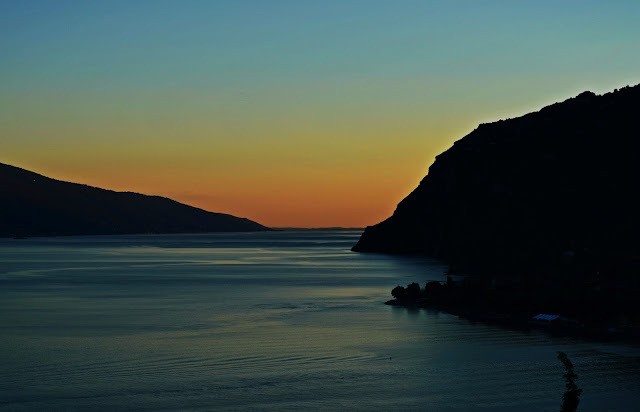 Ideal wind strengths and conditions render the northern part of Lake Garda a true paradise for them! The intense color of its water with a marked shade of blue and matchless transparency, the luminous environment, temperate climate, and flourishing vegetation - mainly olive and lemon groves, palms, make this lake the most charming in Italy, a unique spot where visitors and guests can enjoy a holiday full of relaxation, sports, fun and the thrill of discovering new places, like I did. I enjoyed every single moment at the lake because I really looove this lake! 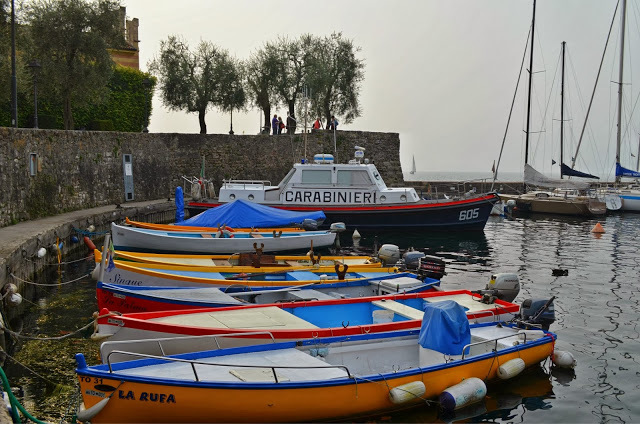 Previously I shared a few photos from Limone sul Garda. But now I’ll share many more of them from different locations as well as some info. 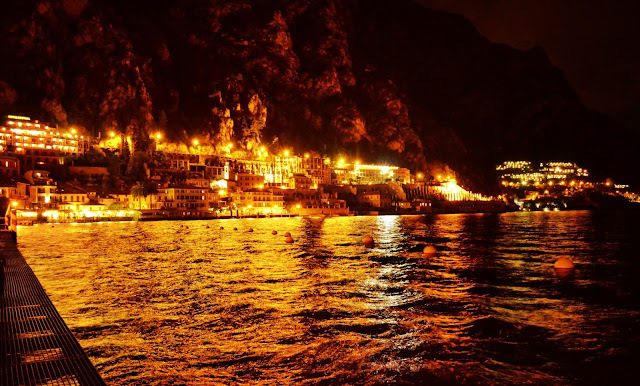 There are so many things you can do on a vacation or on a visit here, choosing from countless outdoor activities like sailing, windsurfing, canoeing, mountain biking, diving, trekking, kitesurfing, go-karting and many many others or just relaxing and sunbathing or exploring the spectacular area with marvelous views. 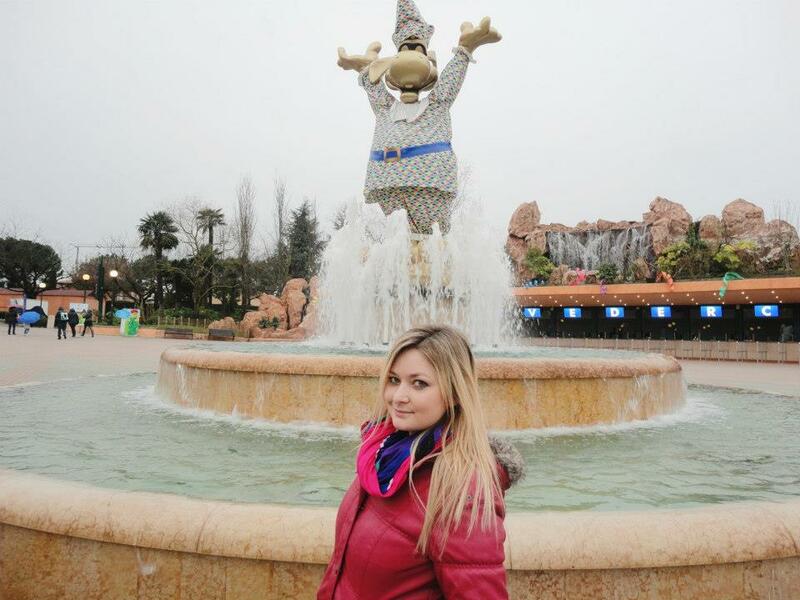 The various natural, fun and aquatic parks offer unforgettable amusement to both young people and adults. 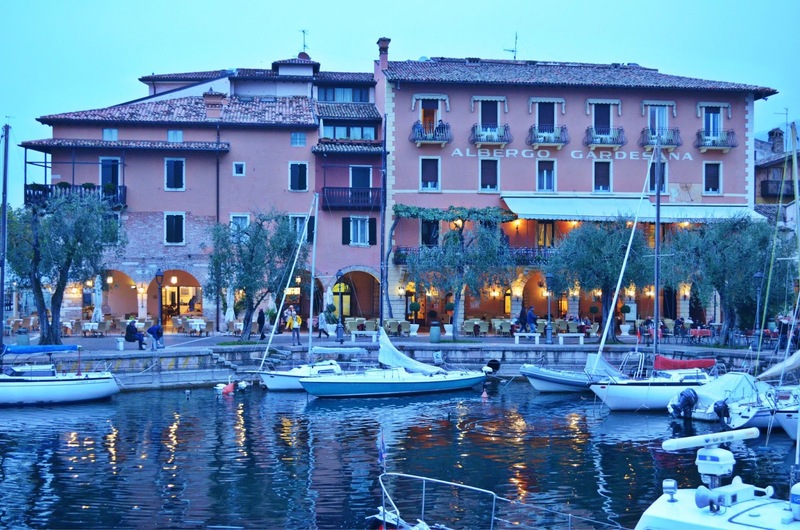 You cannot be bored while visiting or having a holiday at lake Garda. The most famous amusement park is Gardaland, the largest and most famous in Italy. 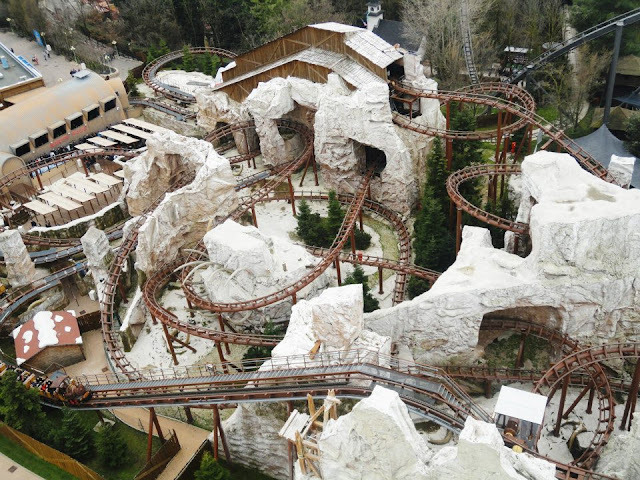 There are many other adventure parks..I wanted so much to go but didn’t do it yet. The waterfalls in Varone are of great interest. It’s one of the biggest attractions of the upper Lake Garda and it offers stunning views of Lake. 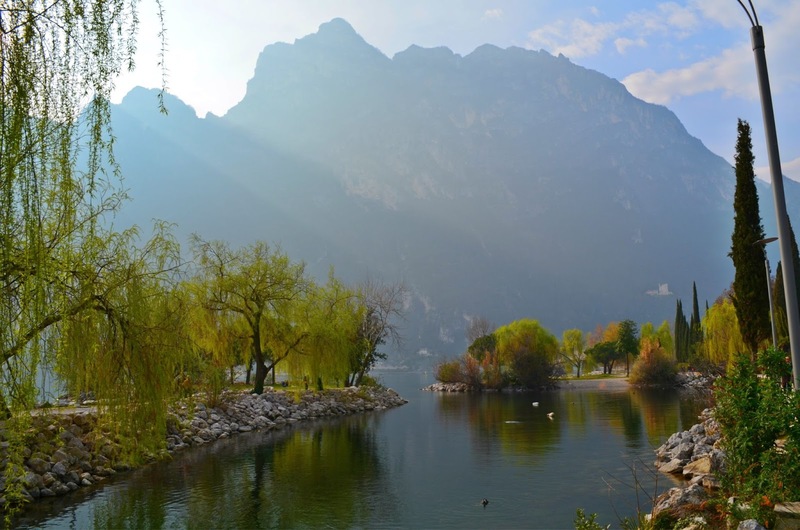 It is reserved to hikers and cyclists and the path connects Riva del Garda and the Valle di Ledro. 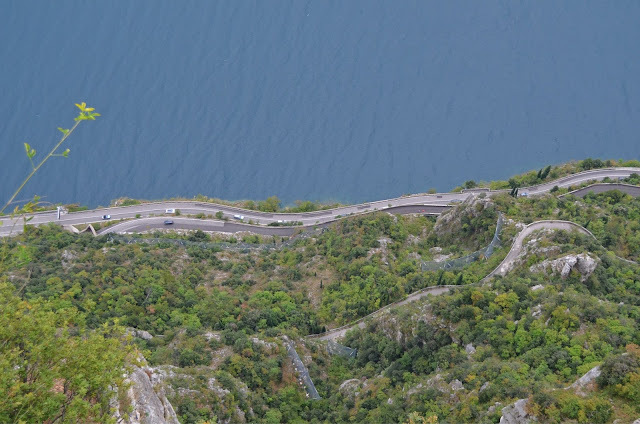 Thanks to its position and architecture, the old Strada del Ponale is one of the most beautiful historical panoramic roads in Europe. The path is 9km long in one direction. But you can turn back whenever you want to. We went in spring so it was the perfect time. I would definitely avoid it during hot summer days. Hiking shoes are strongly recommended. An advice if you're going to explore this area - be careful at the cyclists… they’re really fast. 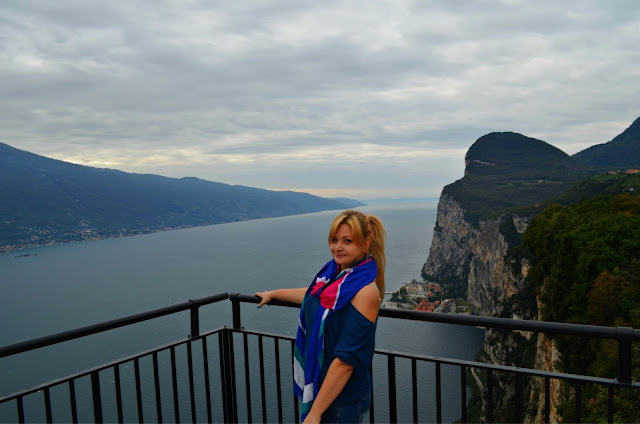 Most of the times I was right here, it’s the jewel of Lake Garda and it’s located at the northern end of Lake. The town's main lakeshore area is made up of a harbour, a park and a beach. Just back from the lake is the historic city centre definitely worth exploring. 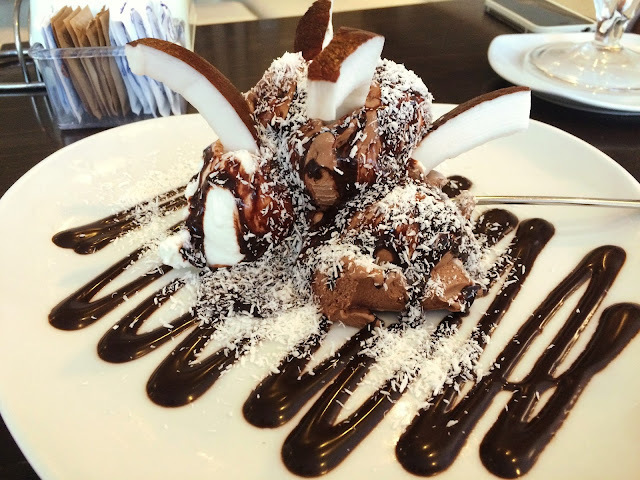 There are a lot of cafes where you can indulge in that delicious gelato especially on hot summer days. 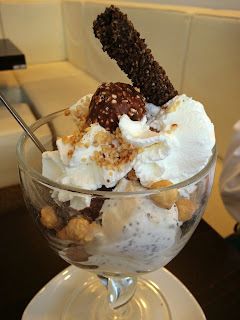 My favorite gelato is from Gelateria Flora, they offer a variety of excquisite gelato. 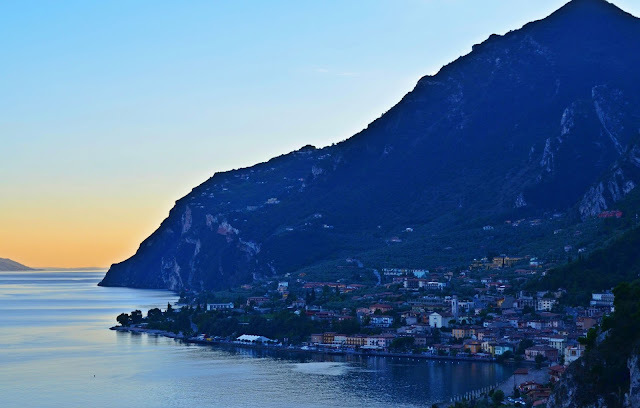 This fabolous view is from Nago, Torbole. We were amazed how much cycling there is in Italy. It is huge! You have to watch out for them everywhere! 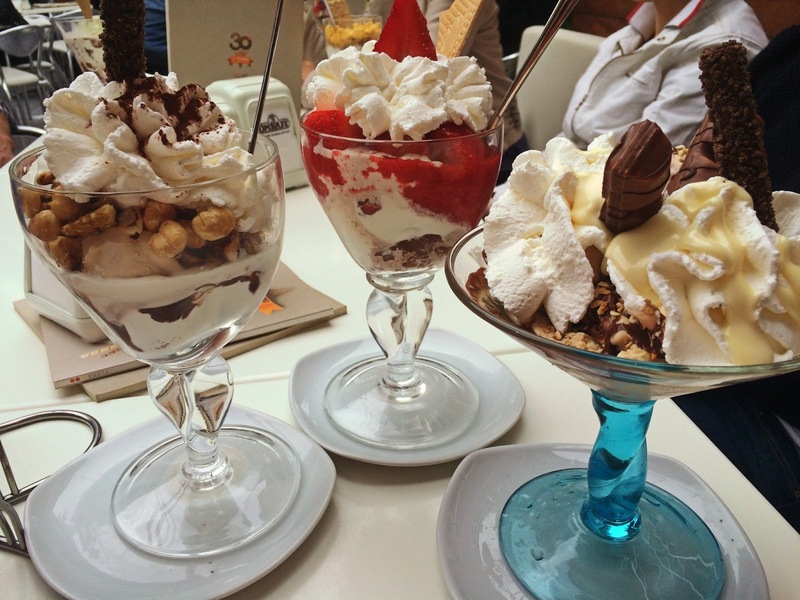 Those ice creams!! That would be reason enough to go to Italy, haha. 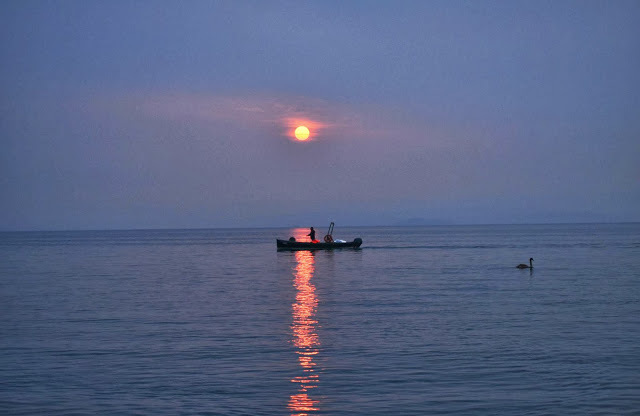 I've heard a lot about lake Garda (wrote about it too), but yet have to go. Beautiful! I haven't been to Italy at all, this is definitely motivation.